Hearing your child is being bullied is never easy. In fact, it is hard not to have an emotional reaction. You may be tempted to jump on the phone and call the bully's parents. Maybe you are considering posting a rant on social media. Ideally, though, you won't do any of these things. Instead, you will respond calmly. Listen to everything your child has to say and then validate his feelings. By doing so, you are giving your child the best chance of moving beyond this terrible ordeal. In fact, researchers have found that your response can have a significant impact on your child's recovery. Additionally, your response impacts how he will cope with the bullying and move on. 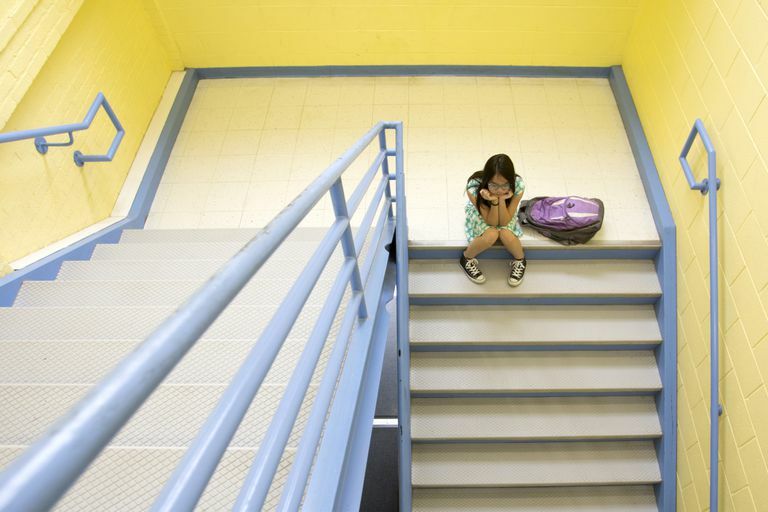 If your child is being bullied, there are ways to help lessen its lasting impact. For instance, focus on offering comfort and support no matter how angry or upset you are. Remember, kids often don’t tell adults about bullying because they feel embarrassed, ashamed, or confused. You don’t want to discourage him from telling you about the next incident. Also, be sure you practice effective listening and avoid asking questions like “what did you do to cause it?” You also don’t want to interrupt, criticize, or minimize what your child has experienced. Instead, focus on what he is saying. It also helps to make these six encouraging statements to your child. Sometimes, kids keep silent because they are worried that reporting bullying will cause it to get worse. Other kids are worried about an adult’s response. For instance, they question whether adults will do anything about the bullying. And they worry that they will be encouraged to fight back when they are too scared to do anything. As a result, it’s important to praise your child for speaking up about the bullying. Acknowledge how difficult it is to talk about it. And be sure your child knows that reporting bullying is not only brave but also the best way to overcome bullying. Sometimes kids feel like they did something to cause the bullying. So telling an adult just deepens their embarrassment and shame. Remind your child that bullying is a choice the bully makes and that the responsibility for the bullying lies with bullies. Also be sure your child knows that he is not alone. Bullying happens to a lot of people, but together you are going to figure out what to do. Asking your child how he wants to handle the bullying demonstrates that you trust his decisions. It also empowers him to move out of a victim mentality and develop a feeling of competency again. It’s never a good idea to take over and fix things for your kids. Instead, focus on helping him explore different options for dealing with the situation and then support him in those options. While teaching your child problem-solving skills is important, do not delay contacting school officials especially if your child has been threatened, physically harmed or the bullying is escalating. It’s also important to bring school personnel into the loop even when it is relational aggression. All types of bullying have consequences and any delay in getting outside help could make things worse for your child. Getting your child to move beyond bullying incidents and think about the future is key. Aside from practical advice like walking to class with a friend or eating lunch with a buddy, have your child identify where the bullying hot spots are in the school. If at all possible, your child should avoid these areas. Additionally, get your child involved in outside activities and find things that will build self-esteem. Also, listen to your child. Let him tell you what he thinks might work. Your child's creativity might surprise you. Then, do your best to help him put those ideas into action. This may sound like a silly question, but when it comes to bullying, your child’s peers can do a lot to help prevent future bullying incidents. In fact, research has shown that friendships help prevent bullying. Get your children to think about the kids they can count on at school. For instance, is there someone he can walk to class with? Is there someone he can sit with at lunch and on the bus? If your child feels like he does not have friends, look for ways to help him develop friendships. Also, ask him to identify a trusted adult he can turn to at school for help.